QEWC implements mega local projects, expands into global energy markets | Qatar Electricity & Water Co.
Qatar Electricity and Water Company (QEWC) attaches great importance, in co-operation with the concerned authorities, to meet the State of Qatar’s electricity and water needs without any potential outage. The company is working in this framework to implement many mega projects, most of which are local projects to meet the State’s requirements and needs of electricity and water, in addition to external projects that support the investment agenda of the company through investment arms serving its global expansion. QEWC has achieved many of the achievements and tasks entrusted to it in this regard and it aspires to achieve more, locally and globally, by increasing the diversification of energy production sources in the State of Qatar and increasing its share in the global energy markets. In an exclusive interview with QNA, QEWC’s general manager and managing director Fahad bin Hamad al-Mohannadi said that the company is implementing many projects inside and outside Qatar. He pointed out that the projects carried out by the company inside Qatar include the implementation of the Umm Al Houl Energy Project, which was completed with a production capacity of 2,520MW of power and 136.5mn gallons of water daily. This project is one of the largest in the region and covers about 31% of the electricity and 40% of the water needs of Qatar, al-Mohannadi said, adding that the project was completed on time and within the expected cost. Regarding overseas projects, the QEWC’s general manager and managing director said Nebras Power Company has undertaken a number of construction projects and acquisition for power plants distributed in various geographical areas such as the Sultanate of Oman, the Hashemite Kingdom of Jordan and Indonesia. These plants, he said, use different types of fuels, including gas, diesel and solar energy, pointing out that Nebras Power has been able to built a power investment portfolio of 1,115MW within a short period. He also noted that QEWC, in co-operation with the Qatar General Electricity and Water Corp (Kahrama) ), is building electricity and water desalination plants to meet the growing demand in consumption. The company is also seeking to develop its capabilities by diversifying sources of energy, including renewable energies, such as solar energy and waste energy production, he underlined. 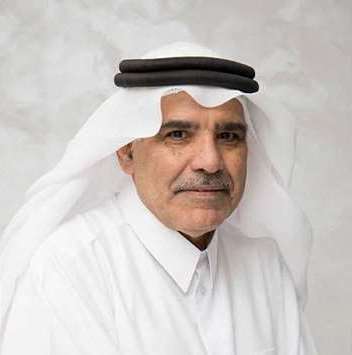 Al-Mohannadi said that the Company, in co-operation with Qatar Petroleum, has established Siraj Solar Energy company, which in turn intends to establish the first project to produce electricity from solar energy, which will be implemented before 2020 with a total capacity of 700MW. This project is one of the largest in the region and is expected to be implemented in two phases. The first phase, he said, is expected to be accomplished in December 2020 with an initial production capacity of 350MW of electricity, while the second phase with a capacity of 350MW in the fourth quarter of 2021. The company is also negotiating with the Ministry of Municipality and Environment to launch a project to convert waste into electrical energy with a capacity of up to 50-200MW, he said. Al-Muhannadi stressed that the implementation of projects in the electricity and water production sector is not affected by the unjust siege imposed on the State, pointing out that all the techniques and equipment required to complete such projects are imported directly from the international markets, referring to Umm Al Houl Energy Project, which at the beginning of the siege was at a completion stage of 50% and was fully completed within the specified time and cost. In addition, he said that the operation of the existing plants also was not affected by the unjust siege due to the availability of spare parts in the international market, and also due to the plants’ dependence on the liquefied natural gas (LNG) which is supplied by Qatar Petroleum, as the State of Qatar is the largest producer of liquefied natural gas in the world. Al-Mohannadi said the expansion achieved during the imposed unjust siege in the State of Qatar is divided into two sections, in and outside of Qatar. The State of Qatar, the company and its affiliates continued implementing the set expansion plans in advance, and has succeeded nationally in increasing productivity and its diversified investments, he said. He added that the company continued its construction of the Umm Al Houl Power Plant which was launched and operated at the set deadline and all the units are operating and being prepared for the official launch of the power plant, expected in the first quarter of 2019. The plant is capable of generating 2,520MW of power and 136.5mn gallon drinking water per day and is one of the biggest projects being implemented in the region in terms of its deadline and budget. Al-Mohannadi said for projects outside of Qatar, Nebras Power signed a framework agreement with Indonesia’s State Electricity Company (PLN) and Indonesia’s PJB. The agreement includes implementing a project related to producing electricity, where Nebras Power, in co-operation with its partners, will complete a project to generate electricity using natural gas with a production capacity of about 800 megawatt in addition to the establishment of Floating Storage Regasification Unit (FSRU). This was in addition to facilitating the supply of liquefied natural gas (LNG) required for the project on the island of Sumatra in Indonesia, al-Mohannadi said. Al-Mohannadi added that the company signed a partnership agreement with US AES Corp and Japanese Mitsui and Co to develop a solar power plant with a capacity of about 40 megawatts in Jordan. Nebras Energy’s share of the project will be 24% and construction of the project will commence before the end of 2018, he added. He also touched on a solar power plant project the company plans to build and a waste-to-energy plant to provide clean energy in the State. In this regard, he referred to Qatar Petroleum (QP) and QEWC establishing a joint project to generate electricity from solar energy, in which Qatar Petroleum owns 40%, while QEWC owns 60% of the company’s capital, and named Siraj Solar Energy. Al-Mohannadi said Siraj Solar Energy comes in compliance with His Highness the Amir’s vision to develop and diversify the sources of renewable energy. The company aims to use ecofriendly technologies and increase reliance on renewable energy sources. With regards to the waste-to-energy project, al-Mohannadi said a memorandum of understanding (MoU) has been prepared between QEWC and the Ministry of Municipality and Environment aiming to establish a company specialised in waste-to-energy with a capacity of 50 to 200 megawatts. He added that the future investment plans of the company keeps up with the growing internal demand for electricity and water by establishing high-capacity plants and other renewable energy plants such as solar and waste-to-energy to create a diversity of energy sources. The company also seeks to reconstruct and develop the old Ras Abu Fontas plant, to be in line with the global requirements for environmental and health standards and raising their thermal efficiency to exploit natural gas with the best possible efficiency. The company also seeks through its investment arm, Nebras Power to expand in the global market. On the latest developments on the establishment of Siraj Power Company, which is specialised in building solar power plants, al-Mohannadi said that a 10sq km land plot in ‘Al Kharsaah’ has been allocated for the project, adding that the area is enough for generating 750MW of solar electricity. With regard to the revenues achieved by Nebras Energy, al-Mohannadi said that the company operates outside the State of Qatar and has successfully sealed a number of international deals with international partners in the field of energy investment, including the acquisition of a 35.5% stake in a power plant in Indonesia with a total capacity of 2045MW, a 10% stake in the Sultanate of Oman’s Sour Power Plant, which has a total capacity of 2000MW and is operated with natural gas and about 24% stake in the East Amman Power Plant in Jordan, which has a total capacity of 373MW and also uses natural gas. The company also acquired a 24% stake in the IPP4 plant in the Kingdom of Jordan to generate electricity using natural gas and liquid fuel with a capacity of 240MW. In addition,, through its subsidiary Nebras Energy Investment Management BV, Nebras has recently signed an agreement to acquire a 75% stake in Zon Exploitatie Nederland Holding B.V.(ZEN), which owns a number of solar plants in the Netherlands. Negotiations are also underway to complete the acquisition of a stake in a power plant in the Tunisian Republic, he added. Moreover, Nebras Energy and its partners have developed the largest solar power plant in the Hashemite Kingdom of Jordan, the Shams Ma’an Solar Power Plant with a total capacity of 52.5MW. The company is currently developing a new solar power station in Jordan, with a production capacity of 40MW. Al-Mohannadi stressed that the Nebras Energy has managed in a relatively short period to build an investment portfolio of more than 1115MW of electricity, stressing that the company aims to be one of the leading regional and international companies in the field of developing electric power and desalination projects outside the State of Qatar, as it has the necessary elements of capital and expertise as well as local and regional support from the State of Qatar and its partners in the brotherly and friendly countries. He pointed out that, from this perspective, Nebras Energy is working to expand in the global markets through a number of well-planned projects in accordance with the company’s investment policies through the development of projects as well as the acquisition of stakes in existing projects in different regions of the world, and is keen to diversify into geographical areas with targeted investment. The company is focusing on economically and politically stable countries which apply laws to regulate foreign investment. He said that Nebras Energy has been involved in several establishment and acquisition operations for power generation plants in various geographic regions such as Oman, Jordan, Indonesia and recently in the Netherlands. These stations are operated with different types of fuels, including traditional as well as renewable energy sources, al-Mohannadi added pointing out that Nebras is currently studying the development of some energy projects in North Africa and South America as well as Southeast Asia. He pointed out that Nebras Energy aims in the next ten years to have more than 9 GW of energy projects operating with different types of fuels such as natural gas and renewable energies. The company also aims to increase the proportion of renewable energy of different types in its portfolio of investment to 30% of the total energy production. Al-Mohannadi said that the QEWC works, in co-operation with Kahramaa, to provide electricity and potable water to meet the needs of the country throughout the year, especially during the summer period, while providing adequate spare capacity for any emergency that can affect generators supplying the network with electricity or distillates producing drinking water to ensure the continuity of electricity and desalinated water throughout the year. He pointed out that the QEWC is also doing the periodic maintenance required for all production equipment annually before the summer period to ensure continuity of electricity generation and water production without interruption during the summer period, in addition to providing all spare parts required. Regarding the importance given by QEWC to safety and security records, al-Mohannadi said the company has won numerous international awards from reputable institutions such as Rospa organisation, the best management awards such as the Best Arab Company in the Energy Sector 2017, and the Best Arab management Team in the Energy Sector 2017 within the Best Arab Awards, the second edition of which was held at Marrakesh in the Kingdom of Morocco. The company was able to gain the confidence of the Board of Directors and key local partners, and gained a good reputation abroad among global partners and financiers, he said. On the progress made in the construction of Lusail Tower, an investment of the company, al-Mohannadi stated that a consultant has been appointed from the best international expert houses to supervise the project, adding the exterior design of the building, which consists of two towers, was completed. One of the two towers is a 28-floor hotel and the other is 48-floor building that will be used as the premises of the QEWC and its subsidiaries, while the remaining space will be rented such as commercial offices and a conference centre as well as a commercial complex and underground car parking in the first three floors. The drilling and foundation contract was awarded on 13 May 2018 and all construction work is expected to be completed and the project inaugurated during the second quarter of 2022 in preparation for the World Cup. The QEWC official stressed the company’s interest in achieving synergy among different departments, noting in this regard that the company has established a staff relations committee to review the administrative decisions regarding all departments to ensure their implementation and to provide employees with an opportunity to present their suggestions to improve the work of the company, allow administrations to know the activities of other departments and identify the obstacles faced. The company also works on motivating employees who have achieved outstanding performance in three consecutive years, in addition to honouring senior employees. The QEWC is also interested in organising events on all occasions for its staff and ensuring their participation along with their families. The staff relations committee also supervises and follows up the training and development of Qatari employees and their promotions.